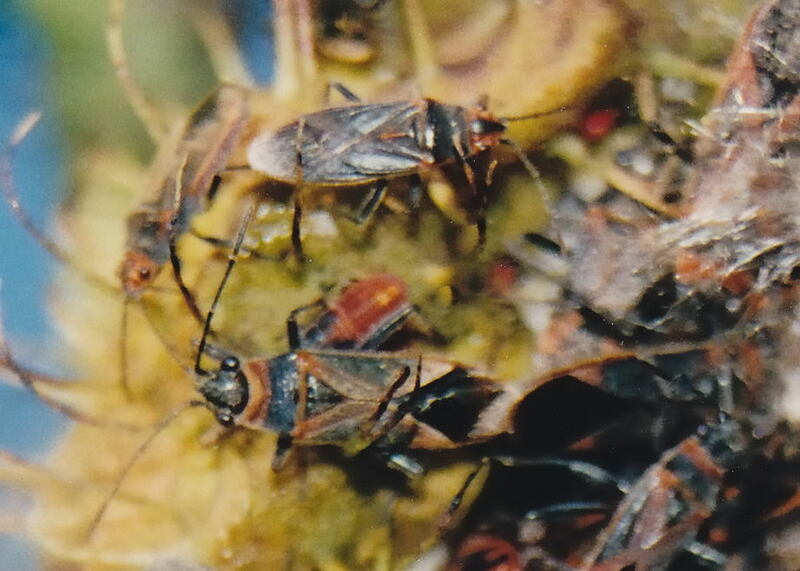 This page contains pictures and information about Black Small Milkweed Bugs that we found in the Brisbane area, Queensland, Australia. 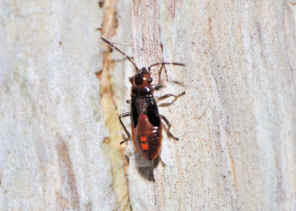 This is the smallest among the four Small Milkweed Bugs species. We notice them only after we carefully study the photos we took. Adult photos were taken in Macgregor Bushland. 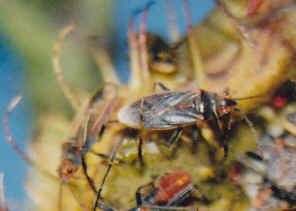 The bug has the uniform dark brown colour, except on head the parts near the eyes there are orange colours. Above photos show the Black Small Milkweed Bug feeding on Milkweed seed pod with some other Milkweed bug species. 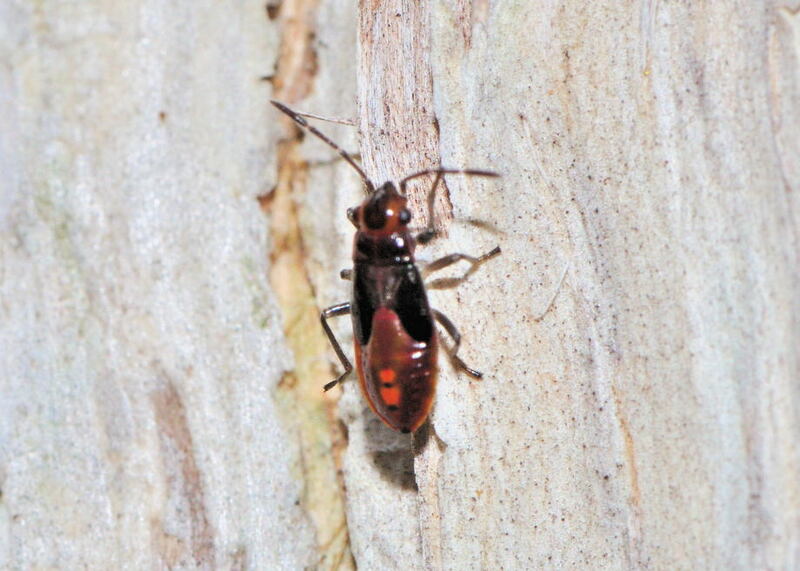 The nymph photo was taken in Boondall Wetland. 2. Arocatus aenescens Stål, 1874 - Swedish Museum of Natural History.